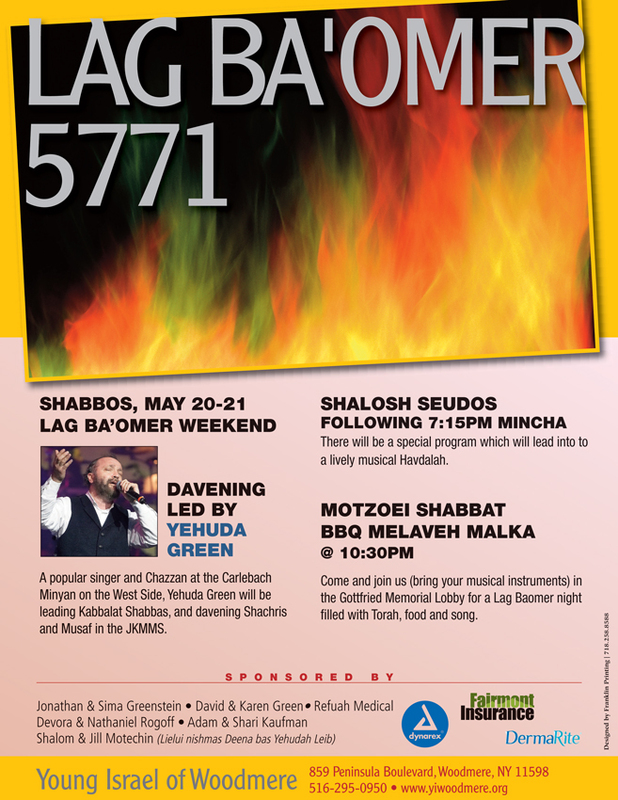 Shabbos, May 20-21 Lag Baomer weekend. Davening Led by Yehuda Green. Young Israel of Woodmere. Call 516-295-0950 for more information.